Leather Fossil watch strap. 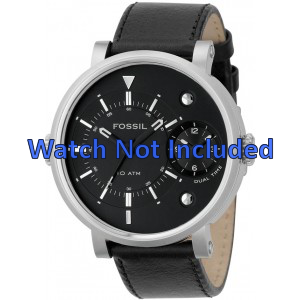 Fossil watch band is being shipped with closure. You have the following choices: With or without push-pins. With or without the push-pin tool E1011. Push-pins are the pins with which you can attach the strap to the watch case. With the push-pin tool you can easily attach the push pins to the watch case.. Displayed price excl. shipping. Delivery time: when in stock, 15 days. Any questions about this Fossil watch strap? Do not hesitate to contact us. Love my Fossil watches and it's great to be able to get new straps from this very efficient company at a good price. Good experience, product as advertised. Slight delay on delivery date.